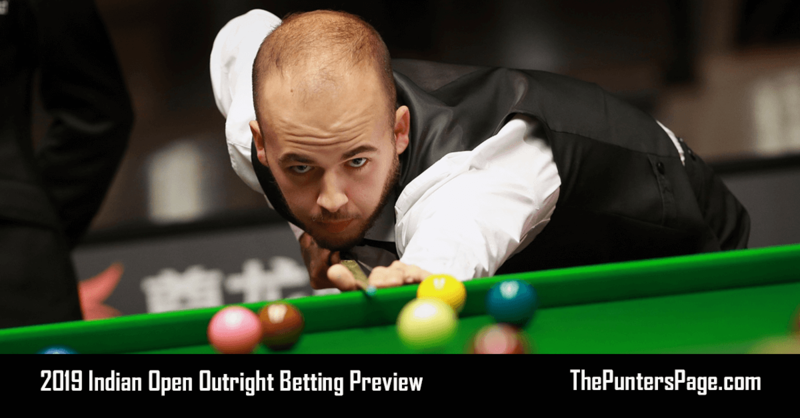 Snooker specialist Craig Edwards (@EdwardsTips_) previews Mark Allen v Kyren Wilson and provides us with his best bets for Saturday’s ManbetX Champion of Champions match. 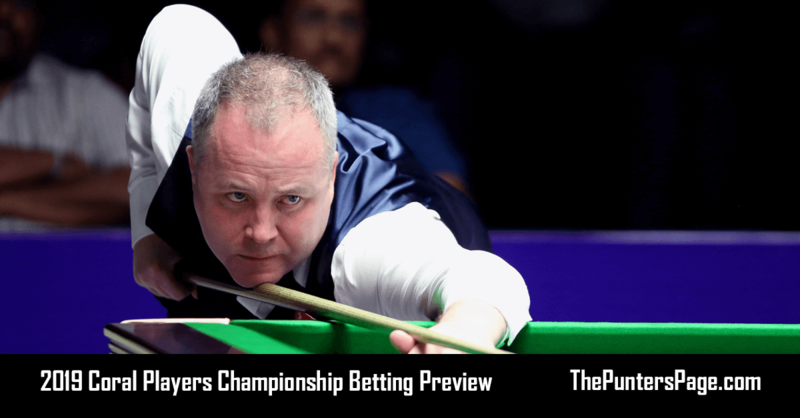 On Saturday evening we have the second semi-final in this prestigious event with the daunting prospect of the winner facing a final showdown with the evergreen Ronnie O’Sullivan. 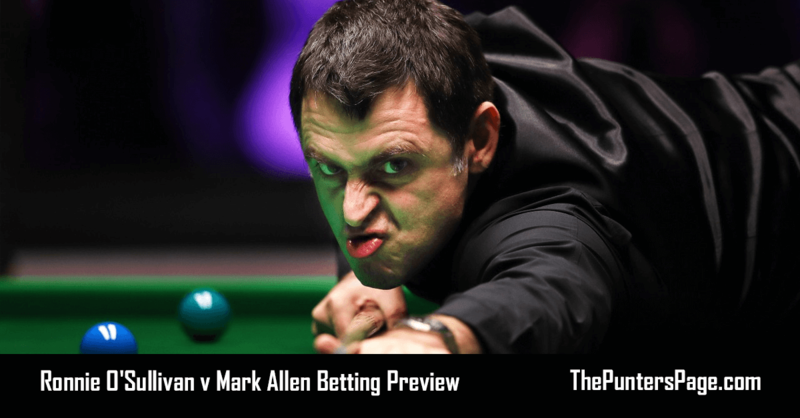 Mark Allen is in such a rich vein of form that I believe he will relish the prospect however, first he has to dispatch the fast improving ultra tough match player Kyren Wilson. This is something the Irishman does not find easy given the Welshman leads their head to head 7-5 . 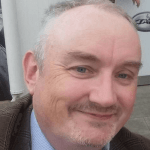 This current year Kyren Wilson won the Paul Hunter Classic and only last week Mark Allen was an impressive winner of the International Championship in China . Both players are having stellar seasons thus far arriving in the semi final in prime form. In Mark Allen’s case I can never remember watching him time the ball as sweetly as he did in winning this group with impressive victories over Barry Hawkins and Neil Robertson, that included 5 centuries and a 99 break . Kyren was also not unimpressive with two comfortable victories over reigning World Champion Mark Williams and Judd Trump with his solid brand of match snooker. With the exception of last year’s Master’s final, Kyren Wilson appears to hold a slight edge over the longer matches these two have played. However, Mark Allen comes into this match riding a crest of a wave which deters me from tipping Kyren. The one area he definitely dominates is the break building department, winning the Highest Break Scorer 8-4 despite losing the head to head 5-7, he also has 9 centuries in comparison to Kyren’s 4 in 117 frames between the players therefore I am happy to back Mark Allen to win the Highest Break Scorer market . One amazing fact is that Mark Allen in his last 7 matches has not failed to score at least two centuries and the match he did he scored one so at Marathon bet the Asian line at 2.1 for over 1 century makes plenty of appeal . Should this match go close I would expect it to favour Kyren slightly, but he will need to start well getting a foothold in the match otherwise Mark may overpower him thus we have two correct score bets combining these options to small stakes .